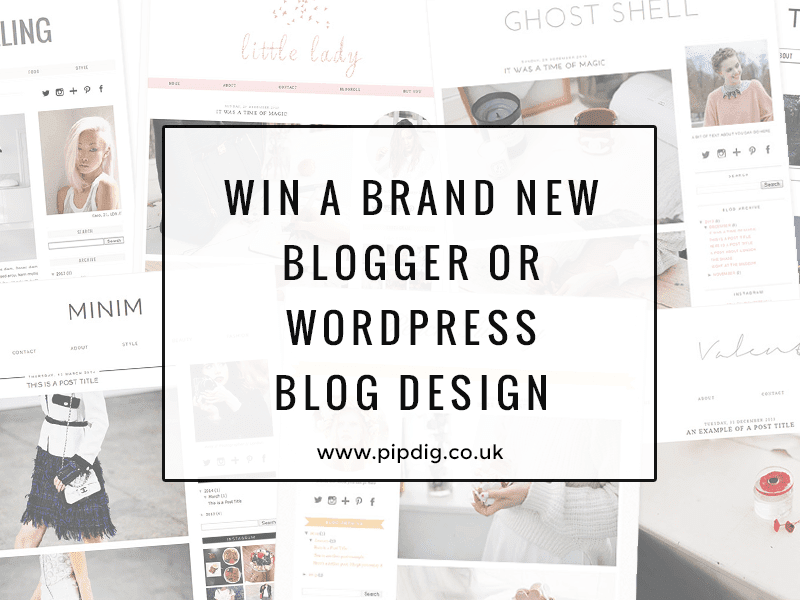 So, what you’ll win: A Blogger or WordPress template of your choosing, which comes with installation and a whole host of awesome details which can be found on each template page. Plus pipdig will add in any font/colour customisations that you want! So you get a brand spanking new design, just the way you want it. 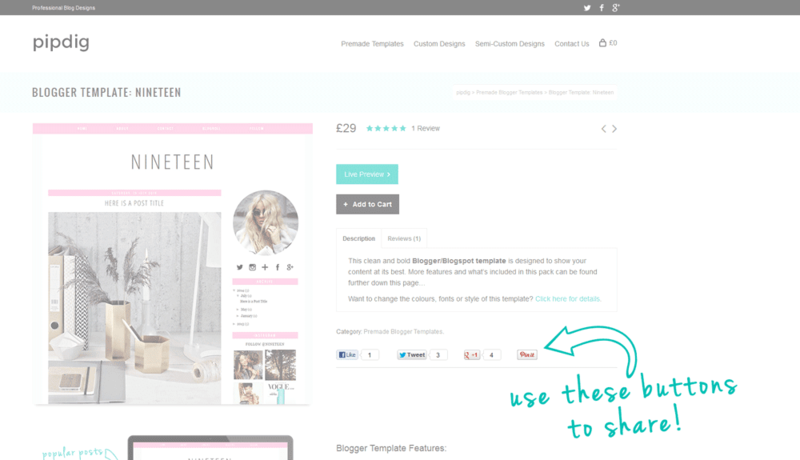 1 | Pin your favourite design(s) to Pinterest using the pin button found on each template page (as shown here). 2 | Comment and let me know when you’ve done it with your pinterest name (plus your tweet URL, Google+ name and Facebook name if you do the extra entries!). This giveaway is on from the 21st September until midnight on Wednesday 24th September and is open worldwide! Good luck if you decide to enter (which you totally should! ).